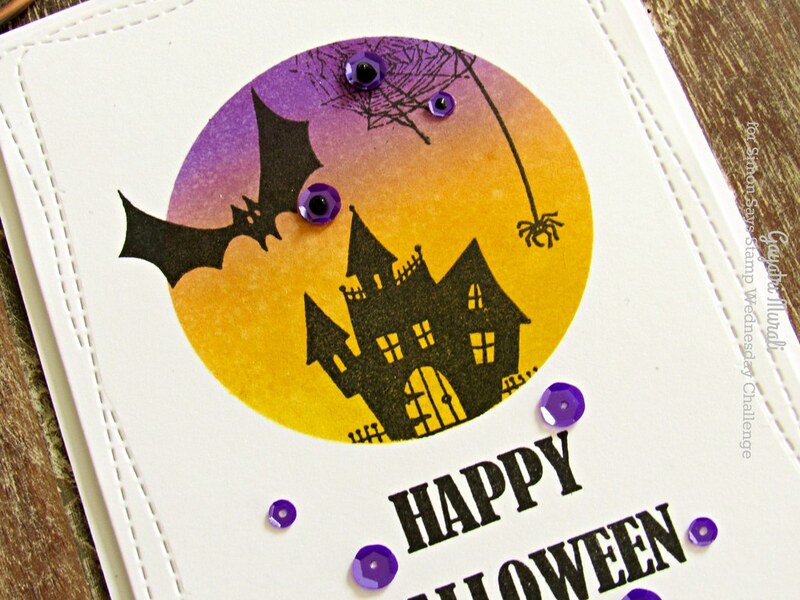 I have used Stampendous Halloween Haunt stamp set to make a halloween card. I die cut a Neenah Solar White card panel using the largest of the Simon’s Wonky Stitched Rectangle die. Then I die cut a circle out of masking paper and adhered the negative masking paper on the panel. I then sponged the distress inks on the negative space and blended the colours. I used mini MISTI to stamped the images from the stamp set on the panel. I removed the masking paper and stamped the sentiment below. Finally embellished with the sequins and Nuvo Ebony drops. Here is a closeup. Maksing is such a cool technique. Take a simple card to the next level. 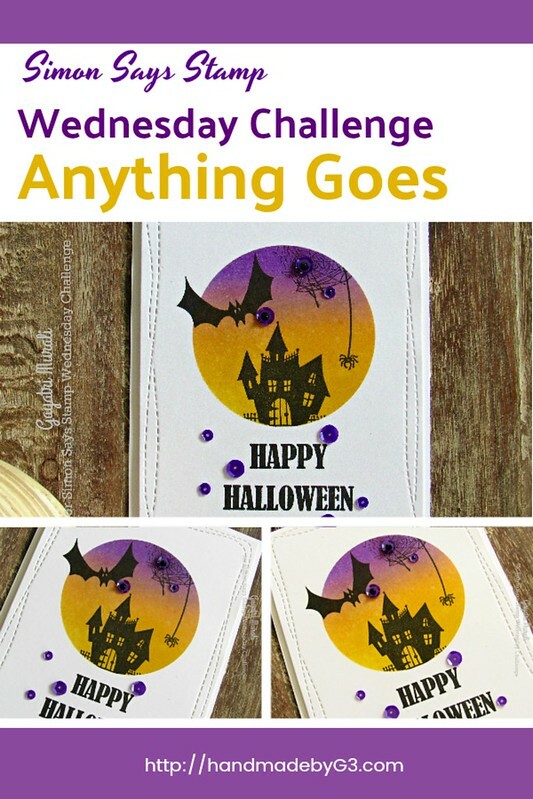 If you link to in my card on your Pinterest Board, here is the photo for you. Thanks for stopping by my post today. So gorgeous! I love the sponged circle! Such a fun design. The wonky stitched border is so eye-catching! What a great CAS design! Love your color shading paired with the silhouette images! 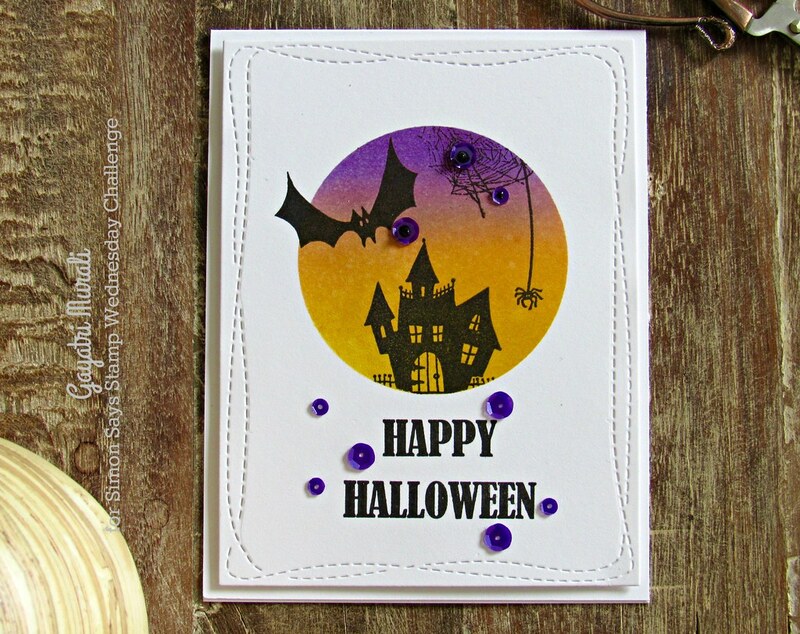 Gorgeous card, Gayatri! I LOVE the twilight sunset color blending! WOW!